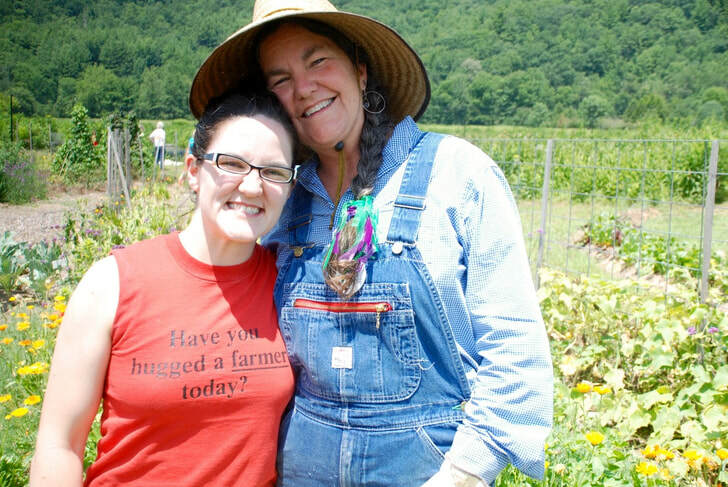 Blue Ridge Women in Agriculture build an equitable, sustainable High Country local food system by supporting producers and cultivating community connections that educate, inspire, and increase the demand for local food. Invest in the local economy. Enjoy fresh local food year-round! Ensure everyone has access to high quality food. Double Up Food Bucks & our partnership with F.A.R.M. Full Circle increases healthy, local food consumption for low income families to help create a more equitable local food system. Double Up Food Bucks is a healthy food incentive program that doubles value of federal nutrition benefits spent at farmers' markets, helping people buy local food while supporting our local farmers and economy. We are proud to partner with Fair Food Network to help grow a vibrant local food system and inform public policy to address hunger and nutrition while supporting a more sustainable food system. F.A.R.M. Full Circle is a food recovery and redistribution program of F.A.R.M. Cafe. After collecting food items at risk of going to waste from local sources, volunteers prepare ready-to-eat meals using the recovered foods. The healthy food options are delivered to those in need and are also available on a donate-what-you-can basis at F.A.R.M. Cafe & the High Country Food Hub. From providing additional markets to on-farm trainings, our producer support offerings are based upon the needs of our community. Since 2014, we have offered a CRAFT (Collaborative Regional Alliance for Farmer Training) program that cultivates meaningful mentor relationships through peer-to-peer farmer trainings and an apprentice link webpage. Formed in February 2016, the High Country Food Hub is a central storage facility and online farmers' market for locally grown food and made products. The Food Hub offers producers affordable storage options for cold, frozen, and dry products, access to an innovative year-round marketplace, and marketing and technical assistance to reach new customers.